There is a special place on Vancouver Island, a place so incredibly unique that it seems almost magical. 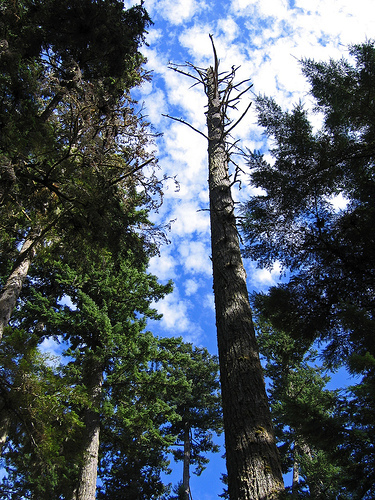 Winding pathways make their way between some of the oldest fir trees on the entire Earth, trees so tall they create a canopy that nearly entirely blocks out the blue sky above. 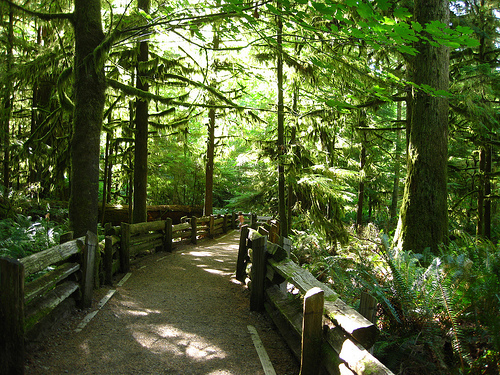 The park is certainly one of those “don’t blink or you’ll miss it” attractions, straddling a small stretch of Highway 4 roughly half-way between the communities of Qualicum and Port Alberni – a 20-minute drive from either direction. Known officially as MacMillan Provincial Park, it covers 301 hectares, including the shores of Cameron Lake and adjacent Cameron River. 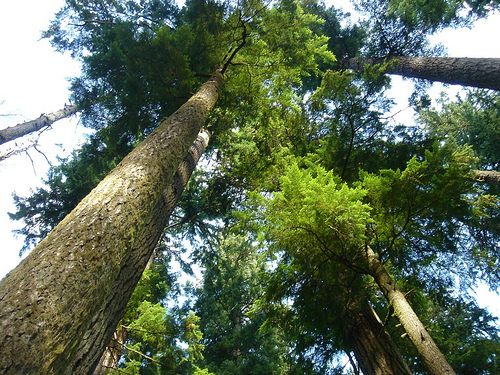 It goes without saying that the old growth Douglas Fir trees are certainly the primary attraction to Cathedral Grove, some of which are more than 800 years old. 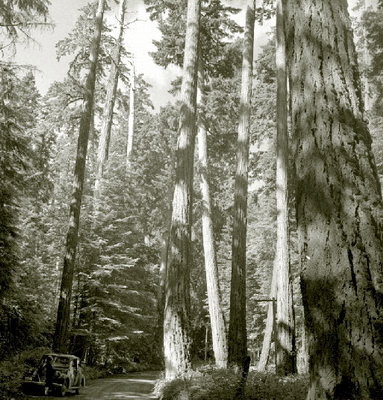 The largest recorded tree in the park checks in at an astounding 76 metres (228 feet) with a 9-foot diametre and a circumference of 9 metres! Because of the precarious situations these ancient mammoths can cause, it’s not unusual to see the park entirely closed on windy days. In the 1920s and 1930s, the land on which the park sits was a popular stop for tourists en route to or from Port Alberni. 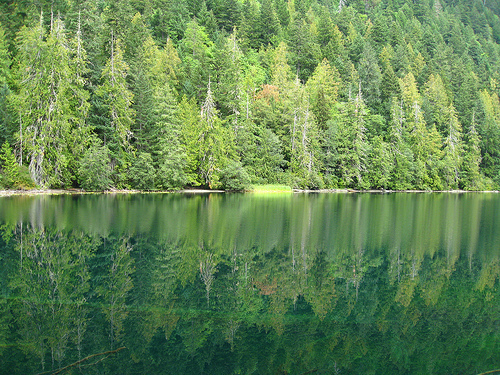 In 1929 a petition was put forth by the citizens of Vancouver Island and The Associated Boards of Trade of Vancouver Island to preserve the forest surrounding Cameron Lake. 15 years later, H.R. MacMillan donated a further 136 hectares of land, accounting for the park space that is used and enjoyed today. 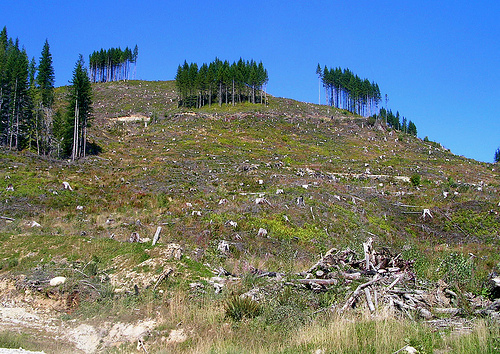 Unfortunately, like many other parks of Vancouver Island, the logging industry has marred much of the surrounding landscape. The forestry line stretches right up to the park boundary, making it a virtual island of trees in the middle of a clear-cut. 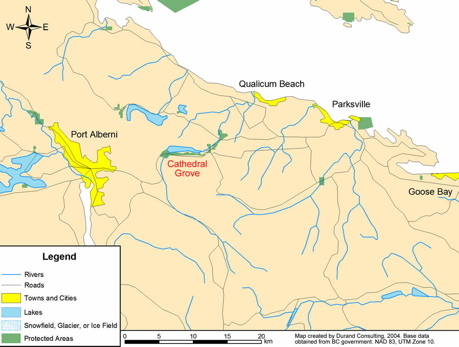 This has posed a significant threat to what remains of Cathedral Grove, as the protective wind barrier no longer exists, making the ancient growth susceptible to extensive wind damage. 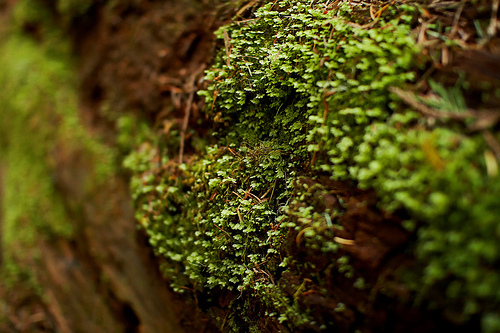 Much to the thanks of various conservation groups, Cathedral Grove is still very much a thriving ecosystem. 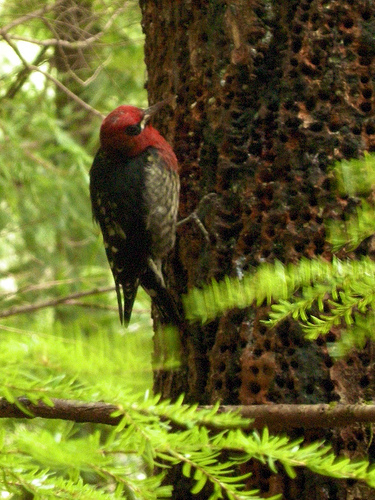 Home to more than simply trees, the park is also no stranger to woodpeckers, owls, insects, reptiles, amphibians, deer, elk, black bear and cougar. 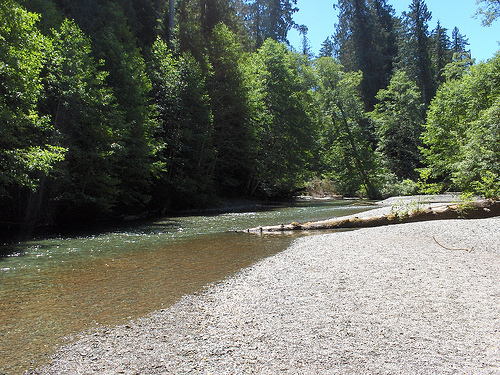 Cameron River contains no less than rainbow, brown and cutthroat trout. 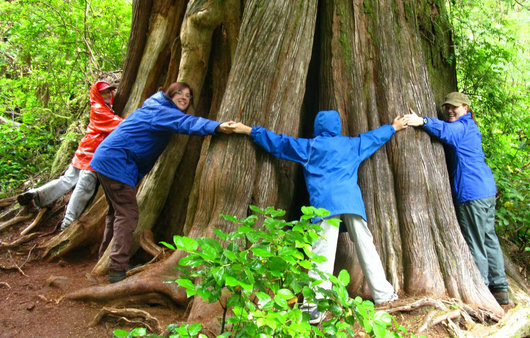 When making your way across Vancouver Island, or simply looking for a day’s adventure, Cathedral Grove is a place that should not be missed. Hiking is available on the pathways on both sides of Highway 4 and leashed dogs are permitted. Please remember to respect the natural environment, stay on the trail system to avoid any damage to the flora and fauna and take all your garbage with you. How much longer this park will be around for to enjoy is up to you and me. 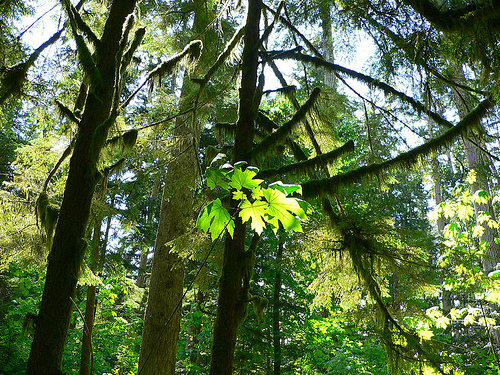 Cathedral Grove at MacMillan Provincial Park is located 16 kilometres east of Port Alberni and 25 kilometres west of Qualicum. From Highway 19 and Highway 19A take the exit to head west on Highway 4 toward Port Alberni; limited parking is available on both sides of the highway. Please visit the BC Parks website for further information. Yup, going there when Brian and I have a sunny weekend off. @Tyler – Make sure you allot some time for a stop on your next trip to or from Tofino. It’s most definitely worth it! I so need to visit this place. Looks like you could get some pretty neat pics from there. when i’m here i breathe. 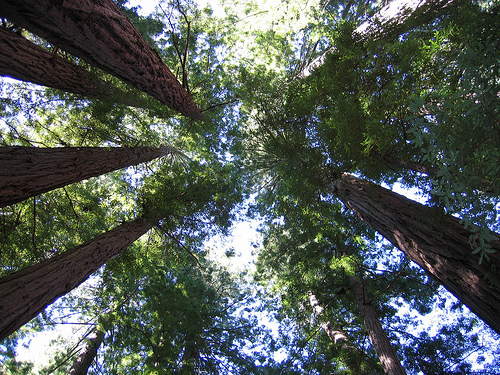 I LOVE Cathedral Grove! This is a beautiful post Keira! Just gorgeous! I love the photos you’ve taken. Thanks for sharing!